Welcome to the official website of Bagmati River Basin Improvement Project (BRBIP)! 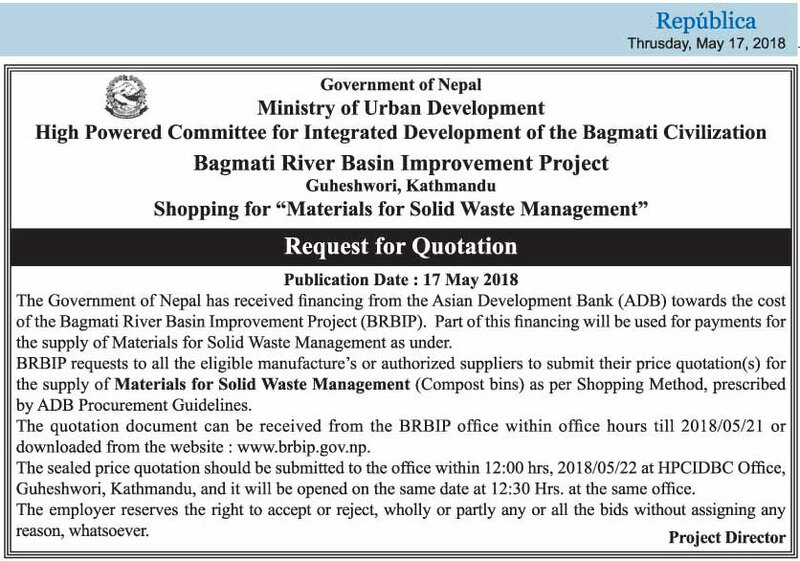 Request for Quotation for the supply of "Materials for Solid Waste Management"
The proposed Bagmati River Basin Improvement Project will improve water security and resilience to potential climate change impact in the Bagmati River Basin. It builds on the general public’s desire to restore the river environment in the Kathmandu Valley and the Government’s efforts to mitigate the impact of water-induced disasters in the middle and lower reaches of the basin.